Download & Participate to WIN Upto 500 Rs. St Kitts and Nevis Patriots will take on Jamaica Tallawahs for the Eliminator T20 match of CPL 2018 which is going to be be played on 13 September 2018, Thrusday at Providence Stadium, Guyana. 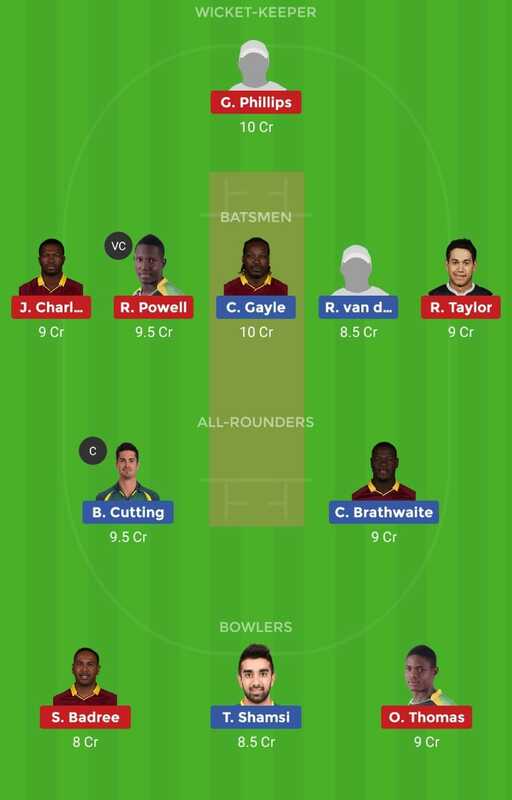 SKN Vs JAM Eliminator T20 Dream11 prediction CPL 2018 is given in this post with all key stats. This is the eliminator match. So Both teams will play with their strong side. Canada all-rounder Saad Bin Zafar will take his place. Chris Gayle is the highest run-getter (257 runs) for SKN and Ben Cutting is highest wicket taker (10 wickets). Jamaica Tallawahs (JAM) is a very good and balanced team. Ross Taylor is back in form with fifty in the last game so he will keep his place. 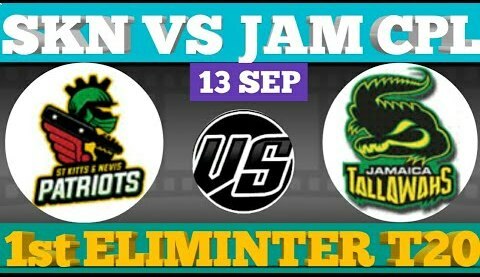 Probably Glenn Phillips & Johnson Charles will open for Jamaica Tallawahs (JAM).